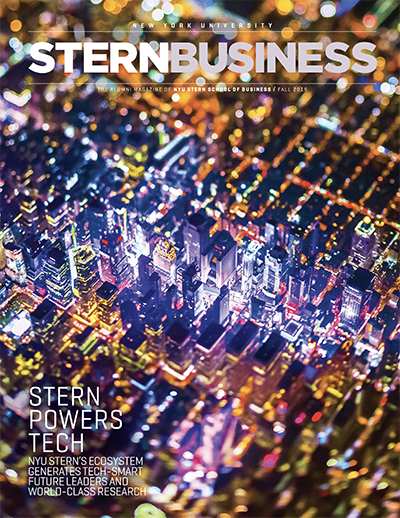 Excerpt from MetroMBA -- "The Center for Sustainable Business at NYU’s Stern School of Business recently released new findings from its Sustainable Share Index, an analysis of consumer’s purchases of products and business marketed as sustainable." Excerpt from TechRepublic -- "Hiring managers should be realistic about the type of skills really needed for the position, Sosulski said. For example, if you want your data scientist giving presentations, then strong information visualization and communication skills are necessary, she added. If you are hiring only one data scientist, then you may want to consider a more senior position with skills in programming, machine learning, data modeling, data architecture, and statistics." Excerpt from Forbes -- "Memes are unpredictable to build a marketing plan around. You can never tell which will take off, the issue they relate to can be fleeting and they're hard to control. Brands sometimes find themselves at the center of viral memes, whether intentional or not." Excerpt from WIRED -- "The NYU report focuses on domestically generated disinformation, noting that far more false and divisive online content is produced domestically than comes from abroad. We bring this problem on ourselves—and the platforms need to do more to address it." Excerpt from AltFi -- "According to Arun Sundararajan, Professor at New York University’s Stern School of Business, 'The era in which the majority of the workforce provides labor and talent in exchange for a predictable salary is passing.'" Excerpt from The New York Times -- "The reasons for my pessimism are that 1) social media gets ever more effective at drowning us in outrage; 2) overall trust in institutions continues to decline, which makes it seem ever more urgent that 'our' side take total control; 3) the younger generations have not seen effective political institutions or norms during their lives, and also seem less adept at handling political disagreements; and 4) the norms of campus regarding call-out culture seem to be spreading quickly into business and many other institutions." Excerpt from NPR -- "'When we don't trust each other, that means it's very difficult for politicians to compromise. It's very difficult to find win-win solutions or positive-sum games. And so there are so many problems that we could solve,' but we don't." Excerpt from The Cut -- “Discussing name preferences is a safer way of discussing our views about the world. Names carry so much information — we associate them with age, gender, ethnicity, socioeconomic status, nationality and personality traits. If two people disagree about name preferences, that might reflect bigger disagreements.”"
Excerpt from Travel Weekly -- "'The first hurdle for Marriott is getting people to understand and embrace the name, which will require far more spending and time than most people think,' Adamson said. 'Because what is Bonvoy? They're creating a brand out of what we call an empty vessel. It has no inherent meaning, so this is really going to take some old-fashioned brand-building in an era when most companies don't have the budgets or the time to do that.'" Excerpt from CNN -- "'Risk-taking is much more important than in the past, because the pace of industry and innovation we have now is unprecedented,' said Zur Shapira, professor of entrepreneurship and management at New York University. 'You have to take risk.'"